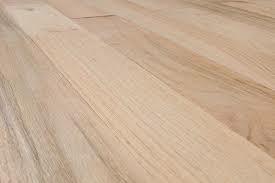 Welcome to Finewood Flooring – manufacturers and suppliers of high quality solid hardwood strip flooring, plank flooring, dimension stock, cabinet-grade kiln dried lumber, and trims and mouldings. Through careful attention to every board, and strict milling and machining controls, our competitively priced Nova Scotia hardwood products offer consistent high quality, easy installation, and minimum cutting waste. Our Specialty Flooring is unfinished flooring that is 4″ wide or wider. Our Signature Line is beveled & sanded, making it ready to lay and finish. The sanding mess is done for you! This is available in many species and grades – call us for details and timing. When installing solid plank flooring which is 4″ wide and wider please ensure that your home has some form of humidity control.